This story is not for those women who choose to have an elective caesarian. This story is for those women who feel they were coerced into having an unnecessary caesarian section and feel robbed of their right to have a normal birth or at the very least, to try. Many women do not know that a VBAC is possible and most obstetricians in the private sector discourage VBACs, while there are few independent midwives who advocate for VBAC. Marli believed a VBAC was posssible and this is why I flew in to Cape Town from KZN on the 24th June 2011, just before Marli’s approximate due date on the 27th June 2011. Marli is 1,8m tall, slim and has a good bone structure. Marli felt intrinsically that she was capable of giving birth normally to a healthy baby. Her own mother had given birth vaginally to three big babies at 42 weeks of pregnancy. Marli’s obstetrician had told her that the “baby’s head was too large, he had not engaged or dropped into the pelvis, because her hips were too small”. At the time, Marli said she was not well informed and felt anxious about the baby’s wellbeing, so she agreed to the surgery. Subsequently, Marli’s first baby, Neil, was born by caesarian section at 41+weeks (10 days) and weighed 3,8kg. Mother and baby were separated after birth, as is protocol in South African private hospitals, and this was something Marli regretted. She struggled to breastfeed her son initially, although after much pain and persistence, succeeded, and continued breastfeeding for more than a year. Firstly, the proof of the pudding is in the eating, in other words, you cannot know whether your hips are ‘too small’ for the baby until you have been in labour for a reasonable number of hours. Studies that tried to predict outcomes in pregnancy using pelvimetry (X-ray measurements and ultrasounds) were not accurate in predicting fetal/pelvic size ratio. Hip joints are flexible at the end of a pregnancy and expand during birth to allow the passage of a baby’s head, especially when the mother adopts upright positions for labour and birth. The baby’s head is also able to mould to the shape of the mother’s pelvis to a degree. Secondly, many babies do not descend into the pelvis until the actual labour begins. Caucasian women have a higher incidence of engagement of the vertex(the baby’s head) in the pelvis at 36 weeks, with first time pregnancies (primigravida) only. African women’s babies tend not to descend into the pelvis until labour begins. We (midwifery and medical students) were taught that, as a rule, the vertex descends into the pelvis at 36weeks, but, remember the Bell Curve? – 60% of babies or women will follow the norm while 40% will be ‘outliers’. Thirdly, physiological traits may be passed from mother to daughter. A mother’s trait to carry a baby till 42 weeks may be passed on to her daughter so that when she is pregnant she may also carry her babies till 42 weeks. This could be a problem if a mother wants a VBAC, because most doctors will schedule the caesarian for 40-41weeks. This puts pressure on a mother to perform and we know that labour is not controlled by the conscious mind. Scheduling a caesarian for 41-plus weeks when the mother is a ‘VBAC’ client, though, may well be warranted. After the due date, a placenta matures and optimal placental function may decrease. 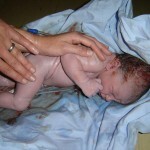 The baby has more time to grow and the head may grow larger than necessary for a safe birth. Ideally a VBAC mother should go into labour spontaneously on or a few days either side of her expected date of birth, but some women will carry beyond the threshold an obstetrician or midwife feel they can safely allow. I do know of one woman who, after three previous caesarian sections, gave birth naturally to her fourth baby just short of 43 weeks. Ultrasound doppler monitoring of the placental flow and regular graphic recordings of the baby’s heart rate can reassure you and your obstetrician to allow more time after the due date. 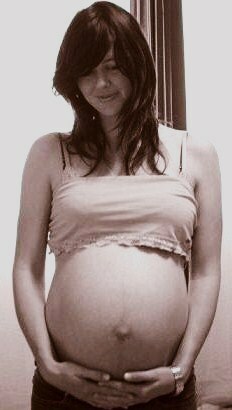 Marli first came to see me when she was 23 weeks pregnant, referred by a facebook friend. I agreed to assist her and recommended she use a different obstetrician, Dr Douglas Dumbrill, as back-up obstetrician at the Vincent Pallotti Hospital. As we chatted I explained the prerequisites for a natural birth. Normal health is a good starting point, a healthy, low sugar diet (diabetic diet)and regular exercise are essential, avoiding stress and ensuring sufficient rest and relaxation periods inbetween periods of activity. Sufficient high quality protein and oils, particularly the omega oils help to sustain the elasticity of bodily tissues and maintain the healing of scar tissue. Marli had a good support system, her husband supporting her choices and her mother helping to care for her active toddler Neil when Marli needed a break. Approximately 70% of women who are eligible and elect to attempt a VBAC give birth naturally. While the risk of uterine rupture is less than 1,0%, the risk is higher to the baby than to the mother, and although most uterine ruptures are not catastrophic, this is unpredicatable. A dehiscence of the uterine scar is when the scar tissue thins out without bleeding profusely, and usually the labour is erratic and does not progress. Contractions may slow down altogether. These signs are indicative of incordinate uterine function. In my view it is the body’s way of communicating that something is amiss. This is why induction for a VBAC trial of labour is not recommended, as induction will override the body’s natural responses during labour and mask potential problems. A rupture of the uterus, on the other hand, is sudden and will immediately affect the pulse rate of the mother, and the baby’s heart rate. Many VBAC studies used data which included women who were induced or given pitocin to speed up the rate of cervical dilatation. This would not be a true reflection of a VBAC success rate in my opinion. It is also critical in my opinion to have one caregiver/birth attendant who knows the patient well and can respond to small changes in her and her baby’s bodily signals. Fetal heart rate monitoring during labour is recommended and the monitor can usually be attached while the mother is in upright positions as well as semi-reclining positions. Monitors themselves need to be ‘monitored’ – they need to be regularly calibrated and the wires and probes must not be damaged. Monitors and graphs need to be watched to ensure they are recording accurate readings. This can interfere with the ‘flow’ of labour, but a midwife will help by following you with the monitor, holding it by hand if necessary. Some women feel that these interventions distract them interfere with the natural birth process and choose to give birth at home (HBAC). Lets get back to Marli! Marli made lifestyle changes and started attending gym regularly with her husband. She adapted her dietary behaviour, eliminating refined food and sugar from her diet and eating frequent, small, high-protein healthy meals. Marli gained about 8kg during the pregnancy and her baby continued to grow well. The 40 week marker came and Marli came to see me, eager to get things moving! Dr Dumbrill gave her 1 week’s grace over her due date, after which she was booked for a repeat ceasarian section.We used every natural technique in the book to encourage labour that week and on Monday the 4th of July, early in the morning, Marli went into labour spontaneously. 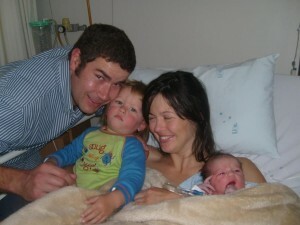 By the time we arrived at Vincent Pallotti Hospital (http://www.lifehealthcare.co.za/hospitals/displayhospital.aspx?nHospitalId=16), Marli was almost in transition, the stage of labour just prior to giving birth. We monitored the baby while she lay on her side, and then in upright positions, standing next to the bed. She walked to the toilet and back a few times, tried warm water but found it too hot and soon started to feel strong urges to bear down. Doppler fetal heart measurements were taken inbetween monitoring and the baby’s heartrate was stable. I also inserted an intravenous needle with a small heplock so that if emergency fluids were needed they could be given without delay. Dr Dumbrill popped in to check on how things were going and saw that the birth was imminent. 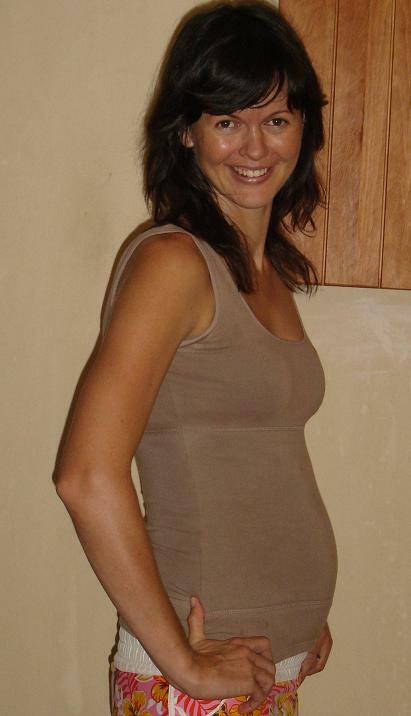 I suggested that Pieter, Marli’s husband support Marli in a squatting position from behind and after two strong surges of birthing energy, and within ten minutes, Marli gave birth to a healthy beautiful BIG boy of 4,2kg in weight!! Aldo was born at 08h32, just 7 hours after labour had commenced and two hours after her arrival in hospital. Ons bulletjie/ Our little bullock just born! After making Marli comfortable and offering her snacks and fluids, I measured Aldo’s head circumference and it was a wopping 38cm. So much for those hips that were too small! He then latched and suckled at the breast spontaneously and was not separated after birth from his parents! This continuum of contact between a baby and his parents before, during and after birth has a huge impact on how a mother feels about her self and her relationship with her baby, and is what makes a natural birth so spiritual. Marli, Pieter and 'my engeltjies' - My Angels! Aldo was alert and responsive immediately after birth and was welcomed with joy into his family as he began his earthly journey of life. Once Marli and her newborn were settled it was time for a photographic session and congratulations from family and friends. Her father and paren’t in-law arrived with Neil, her firstborn son, who wasn’t sure about his new brother Aldo! Neil managed to pose for a few pics and happily went back to ‘Ouma’, Marli’s mother, who had imparted calm and confidence during the labour. Well done to Pieter and Marli and Aldo on their successful VBAC! My daughter is a mere 1.45m & Gynie said possibilities for c-section.We currently see a Gynie at Vincent Pallotti but im so concerned about the high fees to give birth whether its Normal or c- section. Any suggestions where its less pricy & affordable other then going to a local clinic? Mowbray Maternity Hospital or Al Nisa Maternity home may be good options. Its worth exploring and booking at your local clinic. 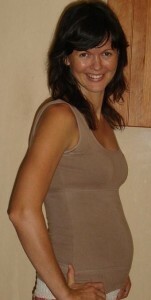 Then approach a professional doula like Lana Petersen for assistance. Lovely read. I’ve only just come across this as I’ve just found out I’m expecting my 3rd. 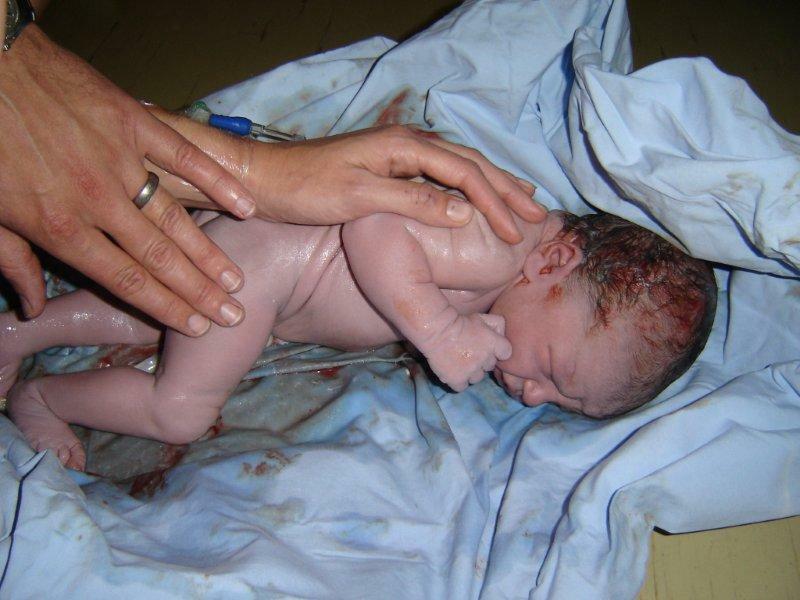 My 1st was delivered by induction, with a catalogue of complications, and my 2nd was a ‘controlled’, but fairly urgent c-section (placenta had calcified). I am feeling quite stressed as I would much prefer a vbac over another c-section (the spinal block didn’t work so I was in major pain), but I am also worried about it being unsuccessful and ending up in a emergency c-section. I also have family history from my mother of long pregnancies… my son was induced 9 days over and my cervix hadn’t even begun to ripen. I am pregnant with my fourth child and would like to try the vbac option. How possible is it to have a vbac after 3 c-sections? I live in Cape town and i noticed that you are one of very few that has experience in vbacs in cape town, im ten weeks now and would like to know my chances… You reponse in this regard would be much appreciated. Oh, how glad I am that the VBAC “epidemic” has reached the shores of SA! I’ve had two caesareans one a “failed” VBAC- but the doctor didn’t give me much time to labor and even said afterwards how she thought my baby would be bigger. I am 31 years old working mother of 2 kids. My first baby was born in 2000 via virginal birth, and my second baby was born in 2009 via ceasarian section after labour was induced. I am 12 weeks pregnant and I am considering VBAC. I live in Pietermaritzburg, Kwa Zulu Natal, South Africa. Please advise of any gynecologists and hospitals in my area that support VBAC. I met you when you attended Sandy’s ante natal clinic when Marianne was away and I wondered how it went…so happy to see it went so smoothly! I would love to know what natural techniques can one use to encourage labour, as it is my biggest concern? So great to read. Well done Marli! Sad that the ‘reasoning’ given by doctors is so typical. I had to put up a big fight to get my first VBAC. Now going to my fourth. The human body is amazing, no?! Well done on your subsequent VBAC’s. The more VBAC’s one has, the lower the risk of a VBAC! And yes, we heal from the trauma of a caesarian section and our bodies are so willing to try again and get it right this time! this is such a healing process Marianne, You did it again!!! you are such an inspiration to new mothers to be… well done for you preseverance. Thank you Ginny. It is not me, but Universal Love and giving mothers confidence. I am always grateful!